Custom orders cannot be placed online. Instead, contact Popco to discuss cost and lead time of your order. Our most common custom order is cutting of poster hanging material, sign channels and sign feet. SNAPRAIL™ and sign channels are drop-cut on a machine we built specifically for this purpose. Sign feet, and a number of other products, are cut on our ban saw or chop saw. The charts below detail cutting costs and quantity breaks. 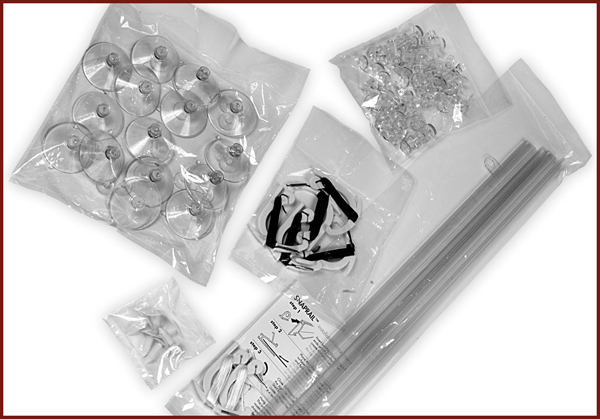 Extra cost and lead time applies to kitted projects. Contact Popco to discuss your project and initiate a quote. Popco can also coat many of our silver-colored metal products, changing their color. 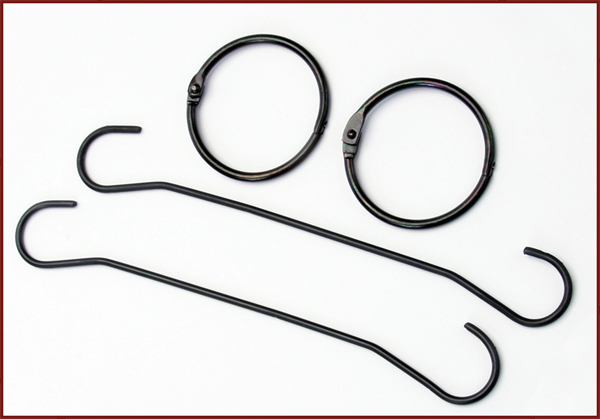 This is most often done with our wire hooks and steel snap rings and the new color is typically black. Minimum order requirements apply and additional lead time is necessary. Contact Popco for more information.